34 years on and still going strong! Welcome to The Celebration Jazz Band! Now in its 34th year! 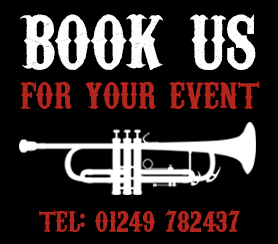 Suitable for Wedding Parties, Birthday Parties, Balls, Receptions, Dances, Festivals, Church Services, Promotions, Commotions and Happy Occasions in all locations! The bands repertoire relies on popular songs of yesteryear, rags, marches and spirituals with composers such as Handy, Joplin, Morton, Armstrong and Oliver much in evidence. 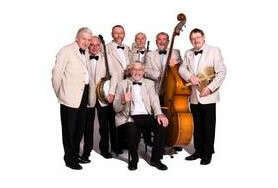 Current members of the band are Tim Newman, Roger White, Phil Wall, Ray Smith, Pete Middleton and John Massey. Just a little sample of our repertoire! BAND C.D. " Yesterday for Today "
C.D. " On Treasure Island "
QUARTET C.D. " This and that "